‘’The Akufo-Addo administration continues with efforts to further reduce the hardships of Ghanaians inherited upon assumption of power. 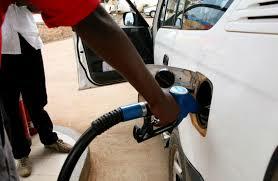 Two major recent interventions which we expect will further reduce the legacy burden on Ghanaians are the further drop inflation to 9.3% and an expected further reduction in fuel prices this week,’’ Deputy InformationMinister Pius Enam Hadzide has said. In the view if the Minister, ‘’Inflation has seen a continued fall since January 2017. It has dropped from 15.4% in Dec 2016 and is now at a 6 year low of 9.3%. Addressing journalists at the bi-weekly press conference today [Sunday] December 16, 2018 he said: ‘’What this means is that if in Dec 2016 the prices of goods and services was increasing at 15.4 % (Annual Progress Report, 2016), now through the policies of the administration, the rate of price increases has slowed down to 9.3% enabling Ghanaians to retain more money in their pockets and reduce their hardship. The Deputy Minister continued: ‘’These prudent measures were again steadily implemented in 2018 fiscal year and this accelerated the disinflationary trend experienced in 2017. From headline inflation of 11.8% in December, 2017the trend was further dragged down within the first five months of 2018 to 9.8%(May, 2018).Owing to the competence of the economic managers, in October 2018, inflation rate further declined to 9.5%. Although there were slight increases in the ensuing months after May, the managers were able to direct it back on track. Meanwhile, he has expressed optimism that fuel prices will continue to drop significantly due to the number of measures being by government including the reduction in taxes. Fuel prices which have also been experiencing an uptick over a two month period have also been on a gradual decline in recent weeks. Indeed government expects a further drop in fuel prices by an average 5.8% reduction for petrol, 4.8% reduction for Diesel and 2.46% reduction for LPG. This is occasioned by the marginal strength of the cedi and prices around the world. The administration is optimistic that the drop in inflation and fuel will therefore add another layer to the work being done in these first 24 months to ease the legacy burden on Ghanaians.